After an overly excited fan hit the World Series trophy with a beer can during the Red Sox parade, Mayor Marty Walsh requested that fans restrain from throwing any more beer at the duck boats. However, when you have 1.5 million people still high off a Super Bowl victory and seeing their sports heroes partying in front of them, it must be hard to resist. 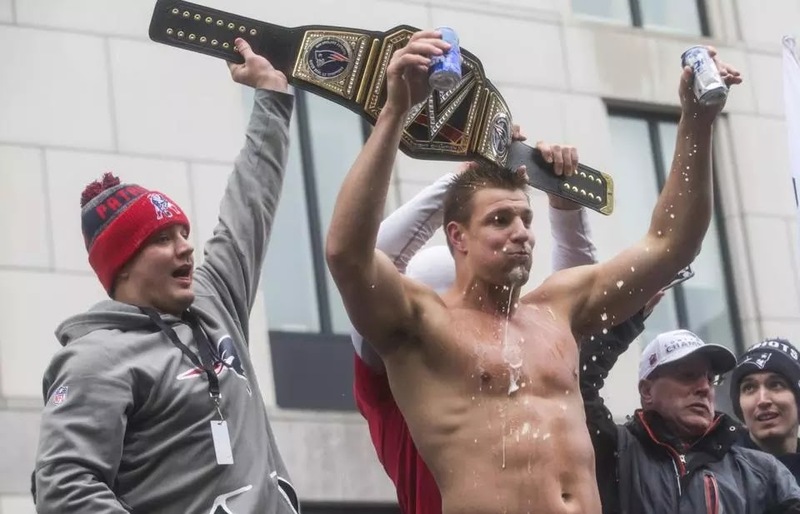 I'm sure this was not the intention of the fan who threw the Bud Light at Gronk, but rather they were likely to get the same reaction they got a few years ago, where Gronk would either down the beer or spike several of them instead. Luckily no one was seriously injured and the party during the parade will most likely be a fond memory of all who attended.